Network Virtualization offers the complete utilization of network services and drastically cuts down on power charges, investment costs, and cooling costs. This allows more time and money to be invested on business administration than network maintenance. While using this facility the organization should take proper care of the implementation of the virtualization task, otherwise there might be complexities in the later time. Once the pairing up is done with a reliable online partner this unique program can be used for daily business purposes. â€¢	It makes the daily business oriented task simpler and faster. With the competitive IT market prevailing today, managing daily tasks in real time can surely be good for any business. â€¢	Network Virtualization greatly reduces the operating costs as this tool generates a mandatory condensation plan and hence increases the overall profit margins. â€¢	This technology also lowers the cost of power consumption contributing towards an overall benefit to the business. â€¢	While using virtualization services all the business objectives are utilized to generate optimized profiles for different IT situation needs. Network Virtualization services require technical knowledge and expertise as virtualization tools are technology driven and just the professionals have the ability to suggest and help you with the latest versions and their utility in the business. Make sure you sign up with a reliable Network Virtualization partner who can not only guide you in but also can deliver futuristic architectural designs and can lead the upcoming project developments with great ease. A good virtual infrastructure provides descriptive data along with reference pages and illustrative diagrams. Virtualization of IT infrastructure and architecture. Virtualization of various blade servers. Virtualization of complete data storage. Virtualization of Critical mission network servers. The overall impact of such services is of immense help for a business to run smoothly without getting caught in network traffic and helps avoid network congestions. 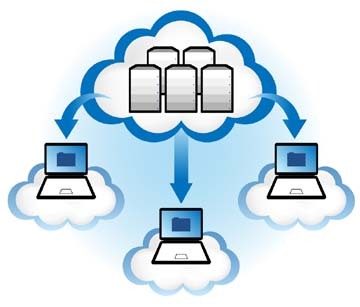 Network Virtualization also enhances the efficiency of available networks.